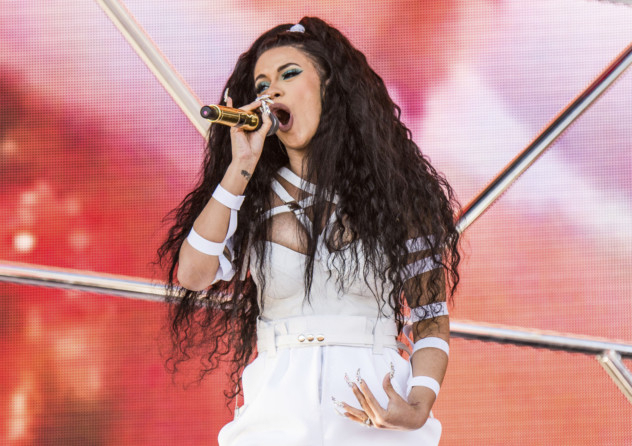 The ‘I Like It’ rapper clinched 21 nods when the nominees were announced Thursday, compared with her eight nominations last year. That puts her just shy of the record for most nominations ever; Drake and the Chainsmokers each notched 22 nominations in 2017. The newly minted Grammy Award winner was recognised in the top artist, female artist, rap artist, rap female artist, rap album and streaming-song artist categories, among others across the award show’s 56 categories. She’s also a double nominee in three of them: top-selling song, top collaboration and Hot 100 Song. The ‘Invasion of Privacy’ emcee was followed this year by Drake and Post Malone, each of whom earned 17 nominations. They are both nominated in several of the same categories, including top artist, top male artist, Billboard 200 artist and Hot 100 artist. Rounding out the top artist list are Ariana Grande and Travis Scott, who earned nine and 12 nominations each, respectively. Taylor Swift, who has the most wins of all time (that’s 23, for those keeping count), is nominated in the female artist and touring artist categories. That poises the crossover star to break her own Billboard awards record this year. Other notable nods go to late rapper XXXTentacion, who earned 10 posthumous nominations, and the late Queen of Soul Aretha Franklin, who was nominated for gospel album. On the film and TV side, the top soundtrack nominees are ‘13 Reasons Why: Season 2’, ‘A Star Is Born’ by Lady Gaga & Bradley Cooper, ‘Bohemian Rhapsody’ by Queen, ‘Spider-Man: Into the Spider-Verse’ and ‘The Greatest Showman’. The Billboard Music Awards honour the year’s most successful artists in 56 categories across all genres of music. Nominees and winners are based on key fan interactions with music, including album and digital song sales, streaming, radio airplay, touring and social engagement, tracked by Billboard and its data partners, including Nielsen Music and Next Big Sound, organisers said. The awards, broken up by sections for artists, albums, songs and tours, are based on the chart period of March 23, 2018, through March 7, 2019. They also include fan-voted categories, such as Billboard Chart Achievement Award and top social artist. Voting for those categories will begin in the coming weeks. The 2019 Billboard Music Awards, hosted by Kelly Clarkson, will take place on May 1.